Audi's cleverest car till date is here - the new generation A8. In its fourth generation now, the flagship model, from Audi, now gets a new design language, an innovative 'touchscreen operating concept and a systematically electrified drive. Let's first take a look at what the new A8 is all about. Smart cars, with futuristic technology - now that's something all of us had foreseen. It existed, yes, in science fiction novels and even movies; but, in reality, we knew that the technology was decades away. Not anymore, though. Audi's cleverest car till date is here - the new generation A8. 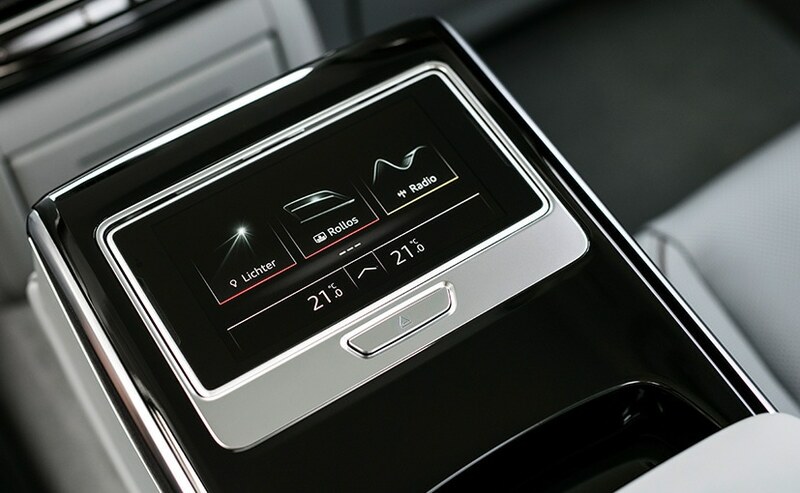 In its fourth generation now, the flagship model, from Audi, now gets a new design language, an innovative touchscreen operating concept and a systematically electrified drive. 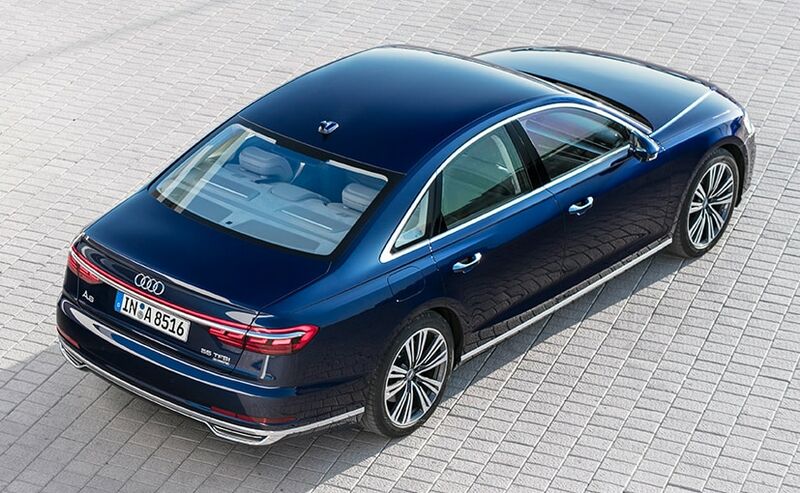 Besides this, the new generation Audi A8 is also the first production automobile, in the world, to have been developed for conditionally automated driving. From 2018, Audi will gradually be taking piloted driving functions, such as parking pilot, garage pilot and traffic jam pilot, into production, which gives us hope, to see all this tech, in the likes of the A4, A6, A7 and even the Q range of products. 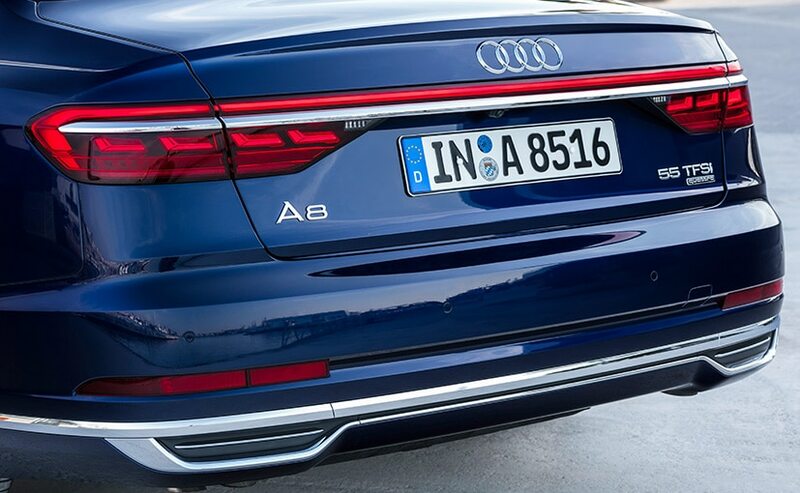 But, more on the tech, in a while; let's first take a look at what the new A8 is all about. The new generation of the A8 is bigger than the car it replaces - longer by 32mm and taller by 13 mm, in either short or long-wheelbase. In the long wheelbase variant, it adds up to 13 cm of rear legroom and that translates into quite a lot of room, at the rear, which is where you'll be spending most of your time. What we didn't expect the new generation A8 to be was heavier; yet, it is. This - after we were told that the car uses a combination of aluminium, Carbon Fibre Reinforced Polymer and magnesium, for the Space Frame chassis. However, the car maker says that the structure is more rigid than before, though the weight has gone up by nearly 100 kg, when compared to the old car. This means that it's heavier than both its competitors the BMW 7 series and the Mercedes-Benz S-Class. As far as the design goes, the A8 takes its inspiration from the Prologue concept, the company showcased, a few years ago. The flat roof dome lends the sedan a sporty touch, while the upright front end, combined with the gently inclined rear, give it a coupe-like design, which actually makes it look quite good. In fact, the high shoulder line, of the car, gives it a sporty look and the lines, on the side, make it look compact; instead of a long car. The A8L, I drove, came with HD Matrix LED headlights, including Audi laser light and rear lamps, with OLED technology. The continuous tail lamp is now a signature and we'll see other cars, from Audi, borrowing this design. Though it looks like one unit, there are more than hundred OLEDs that light the part up and Audi has had to work on making it brighter, so as to be at par with the standards, of the industry. What Audi has also worked on is the cabin; and my word is that it is a place to be in now! I am sorry, I have let that verdict slip out, at the very beginning; but there's no need to hide the fact that the new-gen A8 is absolutely fabulous and the range of equipment offered, just takes it up a notch. The cabin has been deliberately reduced, in form; which means that there are hardly any knobs that you'll find inside. The architecture orientation is strictly horizontal and, while a whole bunch of car makers were against going in for touch screens; well, the Audi has finally gone in for it. 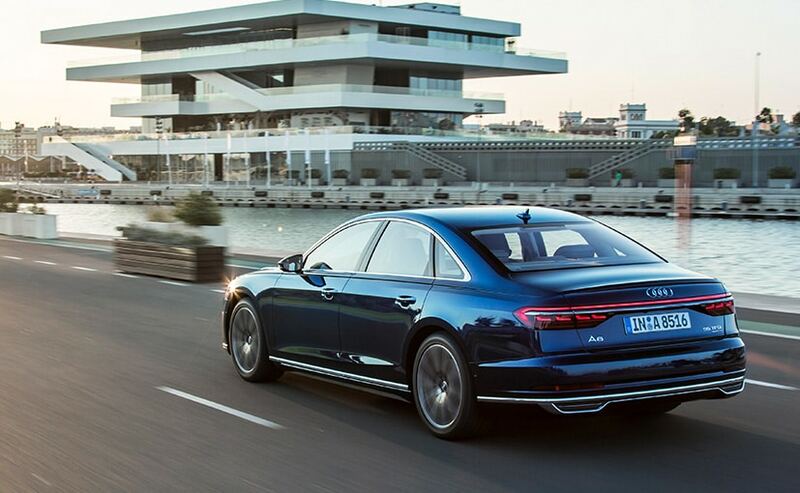 The new A8 gets a new and improved infotainment system. The Virtual Cockpit is now part of standard fitment and the operation has not changed much; but the other two screens, it gets, placed on the centre console, handle all the functions, of the car. The top one is 10.1 inches and does everything; while the smaller one, underneath, is reserved for climate controls and also doubles up as a keyboard/trackpad, to enter destinations, onto the sat-nav system. You can set it to respond to a tap and give no haptic/audible feedback, or require a firmer push and 'click', which actually works very well. But, we all know that the best place to be in, in the A8, is the rear seat. To be more specific, the rear right-hand seat is where you want to be, as this is the optionally available relaxation seat, in the A8 L; and features options, for adjustment as well as a footrest, on the backrest, of the front-passenger seat. Passengers can massage and warm their soles, using the several levels; but, as I said earlier, this is the optional pack; and sadly, I did not really get to try it out. However, was is included, in the relaxation seat package, is a back massage feature, electrically height-adjustable comfort head restraints, footrests and a long centre console, which has good storage space; then, there are optional features, like folding tables, with two-stage adjustable inclination. There's also four-zone automatic air conditioning; but the big focus, at the rear, has to be the rear seat entertainment system, which comprises two Audi tablets and a rear seat remote. The passengers, at the rear, can use the touch control, on this new operating unit, to run numerous convenience and infotainment features, as also to make discreet phone calls. The Rear Seat Remote, with its OLED display, is approximately as big as a smartphone and can be removed, from where it is stored, in the centre armrest. 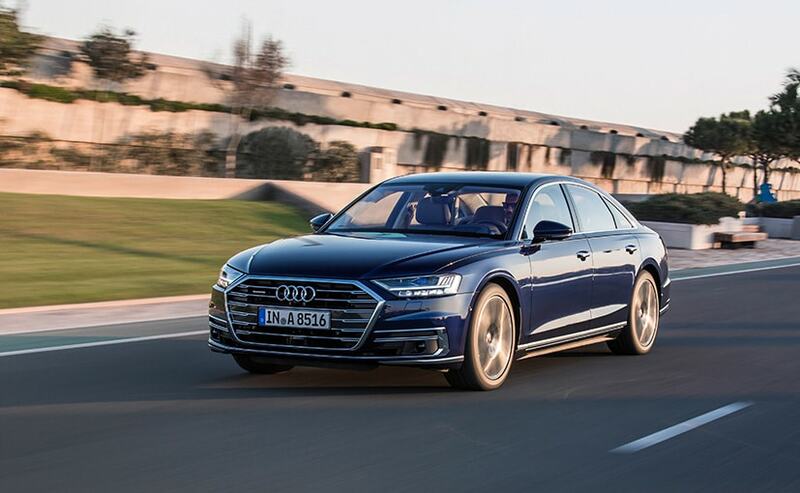 The material quality, on the new-gen A8, is brilliant and cannot be faulted; but the layout of the cabin appeals to a different crowd, altogether. It's sharp, modern and very precise, unlike probably what you see in the Mercedes-Benz S-Class. The S-Class is a comfortable place, to be in, and is not all business, like the A8. While the back seats are a treat to be in, the engines of the A8 compelled me to get into the front seat. There were three engine options to sample, the 3.0-litre V6 petrol, 3.0-litre V6 diesel and a more powerful 4.0-litre V8. We have been told, by Audi India, that all these engines will be made available, in India; but they won't be introduced in one go. 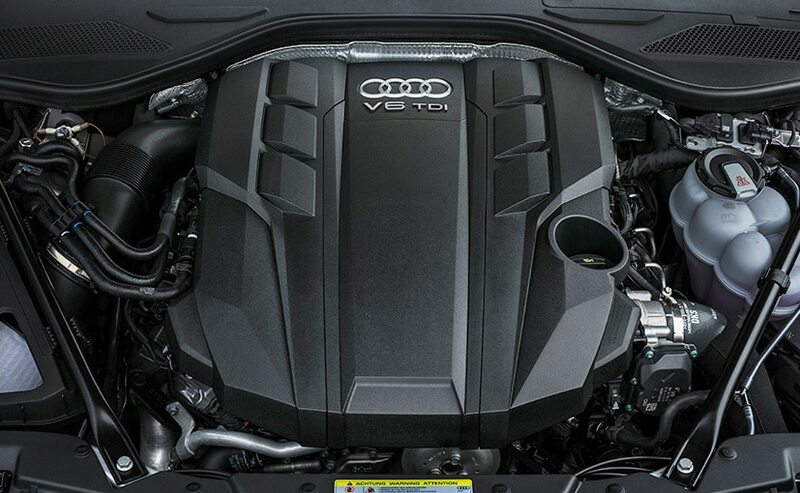 However, given the push, of petrol cars, by Audi, in India, we are sure that the diesel and petrol V6 will be introduced first, which is why I hopped into the 3.0-litre petrol A8 L. The engine makes 335 bhp, at 5000-6000 rpm and, though the engines have been carried forward, from the last generation, this one has been extremely refined. This one also gets limited hybrid assistance, thanks to the use of an alternator that doubles as a starter, an arrangement that powers a 48-volt electrical system. The alternator/starter is good, for 15 bhp, during energy recuperation and 8 bhp, when assisting the petrol engine. This actually helps in making the engine operate, at its most efficient rpm, and lends a hand, to achieving better fuel economy. It also helps in achieving low-end torque, which is why you get 500Nm, from as low as 1350 rpm. It's pretty good; but nothing out of the ordinary. It's enjoyable to drive; but yet not something you'd leave the comfort of your back seat and take control of the car for. The talking point, though, is the suspension. 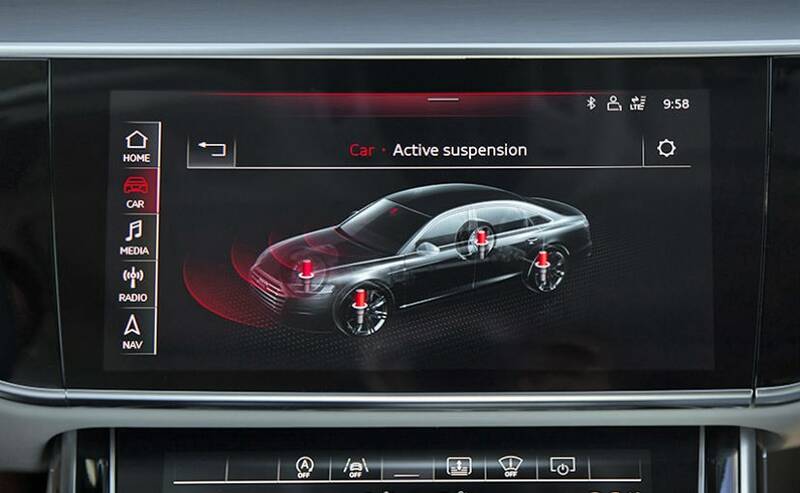 All the A8s get adaptively damped air suspension, as standard, with selectable 'Comfort' and 'Dynamic' modes; but there's an optional extra available, in the form of the Audi AI active suspension. It's a clever system, which uses the camera, to gauge potholes, on the road surface, and adjust the suspension accordingly, to take it on. It doesn't really require anti-roll bars; but rather actuators, on all four corners, which lift the car or drop it down, stressing or relieving corners, as necessary, to dampen body movements. We tested this system, in a controlled environment, on a small test track, Audi prepared for us; and, the results were astounding. However, we have to mention here that, for this technology, to actually be used, regulations need to be passed, because it uses laser technology, to help with this predictive function. It's also likely to be a very pricey option, considering that the technology is pretty exclusive, to Audi. Mind you, the ride, with the active suspension, is a bit floaty; rather than just being comfortable, like the standard air suspension. 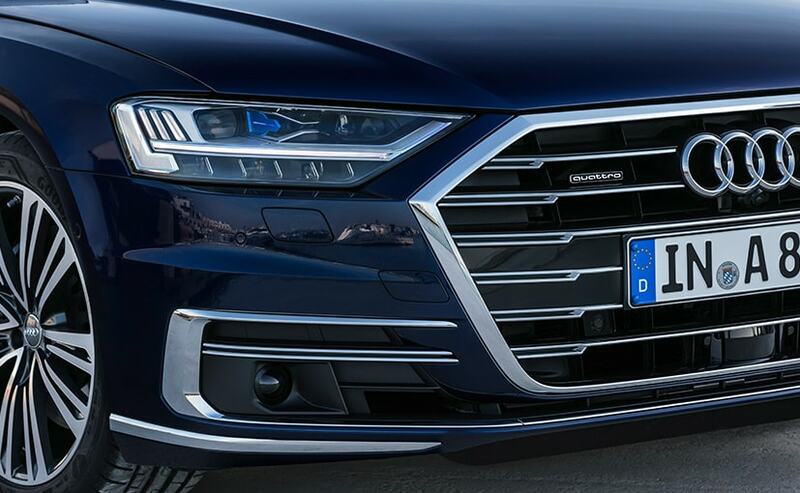 The biggest selling point or differentiator, of the A8, from the rest of the rivals, is the 40+ driver assistance systems, that the new-gen limo gets; and this basically grants it Level 3 autonomy - a first, for a car, in this segment. The Traffic Jam Pilot and parking/garage pilot systems are features that make it stand out, from the crowd; and we were looking forward to testing these functions out! Sadly, we couldn't, because Audi says their introduction is "wholly dependent on the clarification of statutory framework, in each individual market." Now, India will not see any of these features yet, because its adoption, in the European and the American markets, is still a long way away. So, when is it coming to India and how will it be priced? Well, Audi says that the new-gen A8 will be launched by mid-2018; but, meanwhile, the company is testing the car, in India; and though it will come sans any of the 'Autonomous level 3' features, the car's design and other additional features will keep things interesting, in the luxury sedan space. As far as price is concerned, the 2018 A8 will be priced above the ₹ 1 crore mark, which it currently is at, in India. 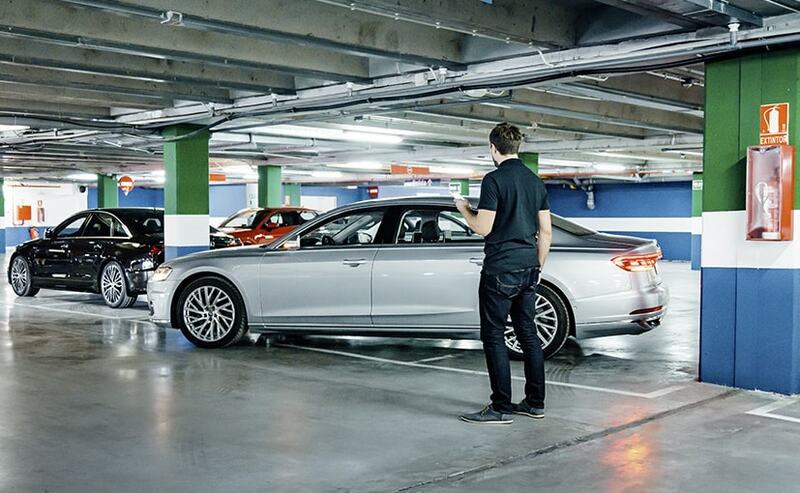 So, the only question you're asking is - whether the new A8 is the benchmark, in its segment, or is it not? No, it isn't, yet; and that's only because all the driver aids are yet to be seen, working in real world conditions and the engines, though overhauled, are no match for the inline sixes that the Mercedes-Benz S-Class adopts, when it comes to refinement and power delivery. Its right up there, though, and a very serious competitor!